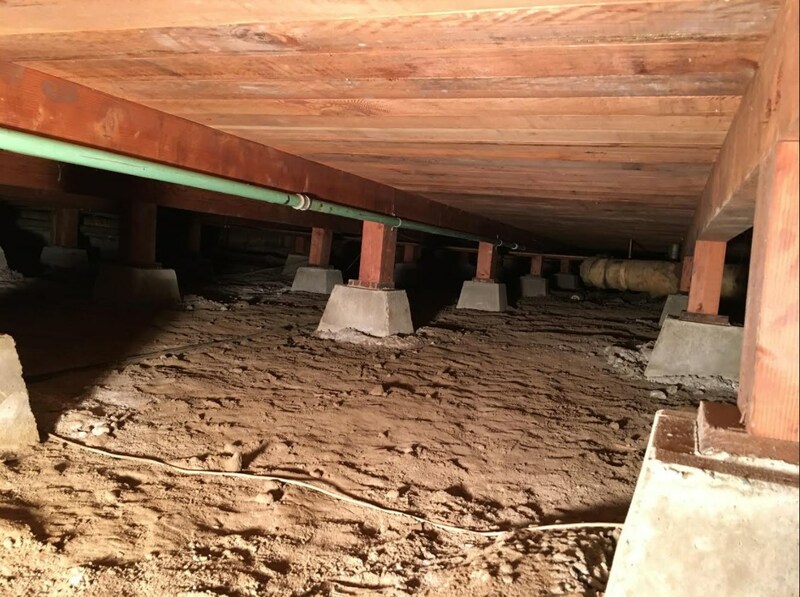 This what it looks like under your house. 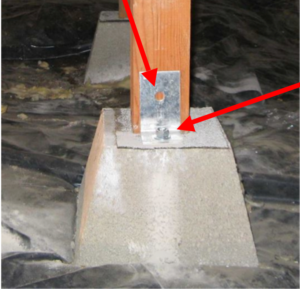 The bottom of the posts are sitting on concrete piers and the tops of the posts hold up beams also known as girders. 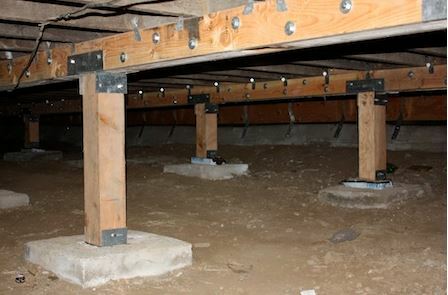 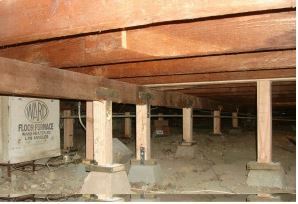 Floor joists rest on top of the girders and the floor you walk on is nailed to the joists. 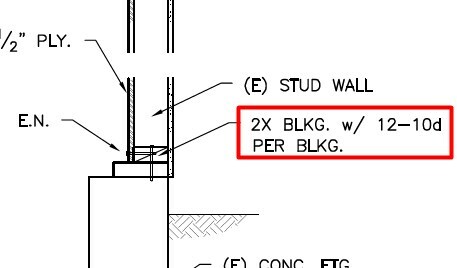 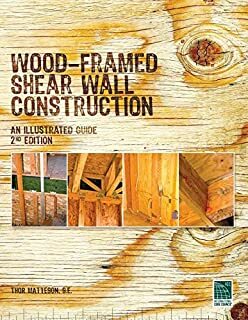 The building code makes no distinction between posts that are 2 feet tall or 10 feet tall. 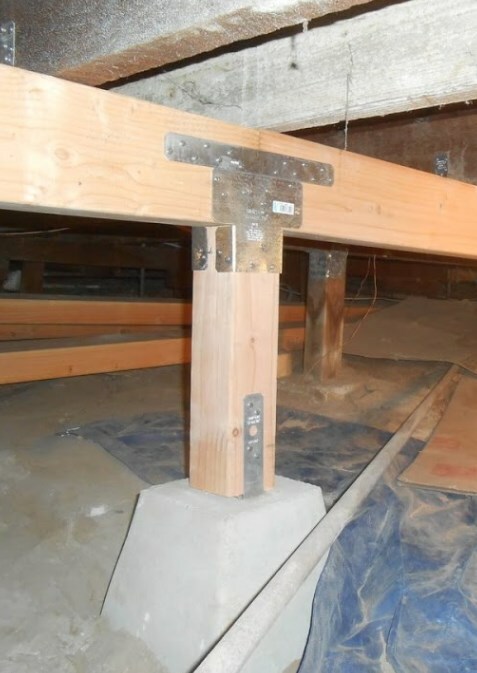 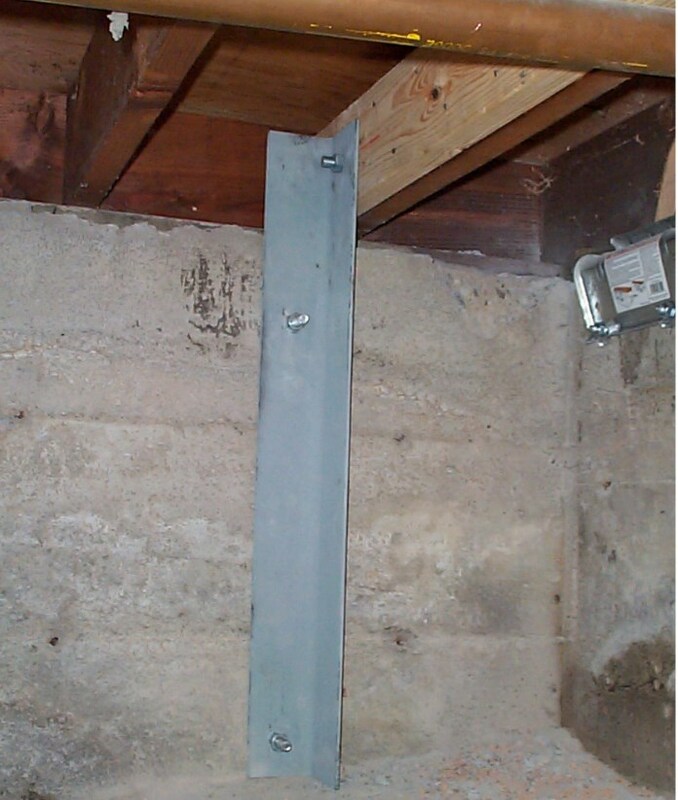 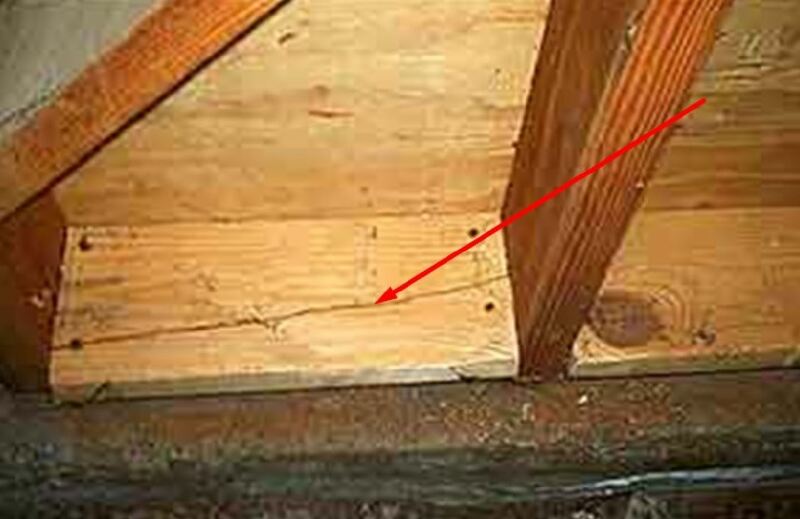 As shown below, sometimes the posts support beams that the floor is nailed to and there are no joists. 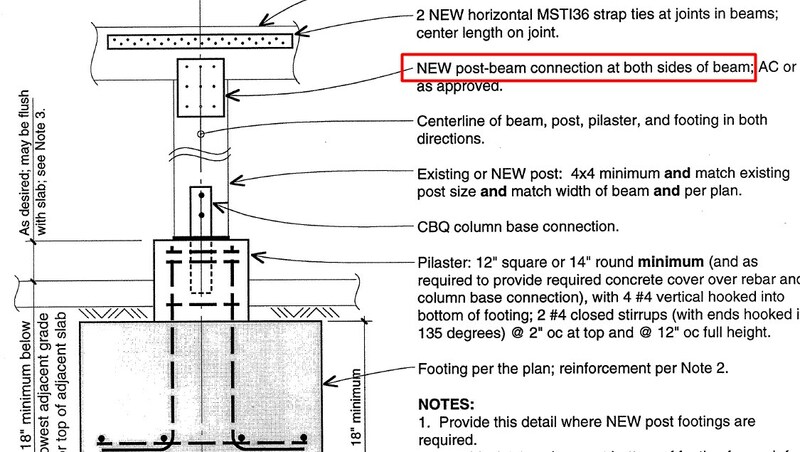 In contrast, look at another construction detail below. 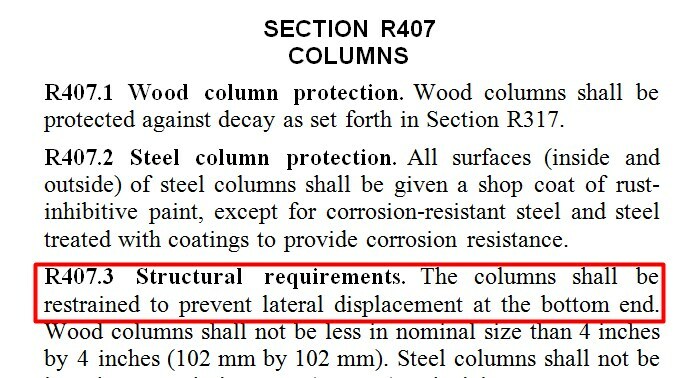 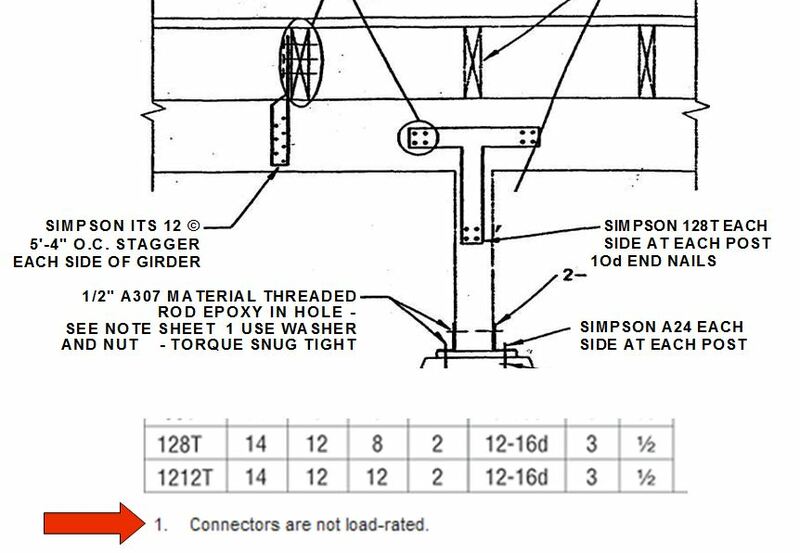 This detail is found in all six seismic retrofit guidelines. 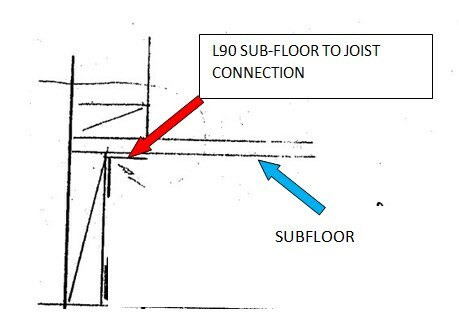 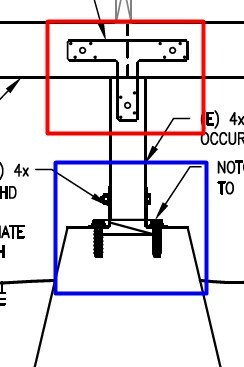 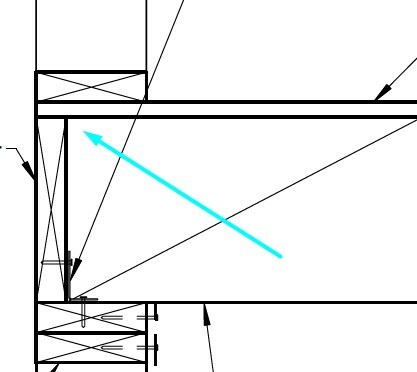 The blue arrow points to the fact that no steel sub-floor to joist connectionis shown at the joist to sub-floor location. 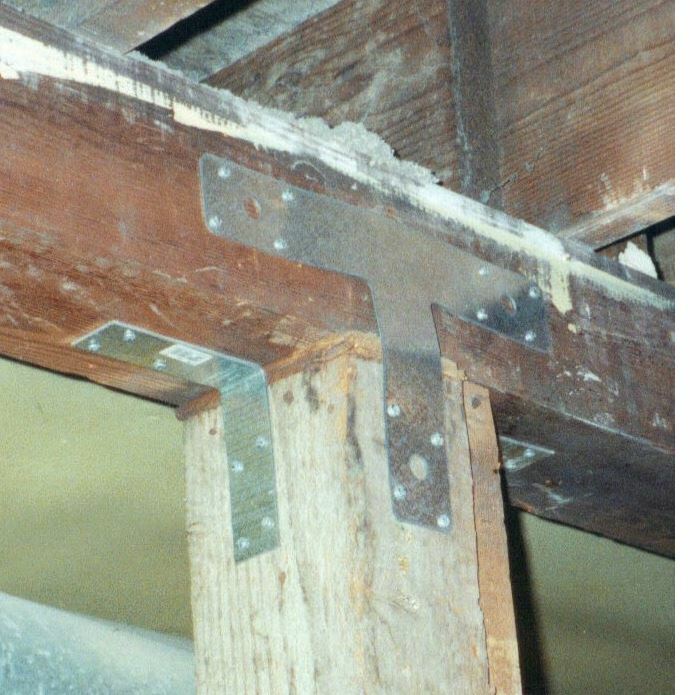 This is because the members of all 6 committees, consisting of some of the finest structural engineers in the country, believed it is not important.